The winner and runner-ups of World Mayor 2012 will be chosen based on the number of nominations in relation to the size of their cities and, more importantly, on the persuasiveness and conviction of testimonials received during this year's World Mayor Project. Below we publish a selection of comments received to date about WM nominee Alfonso Sánchez Garza, Mayor of Matamoros, Mexico. 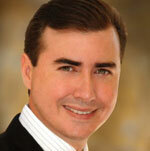 Mayor Sánchez has signed up to the City Mayors Code of Ethics. Comment: As a local college student from the Tecnológico of Matamoros I am very excited about the new opportunities that are arriving to our city. Comment: El alcalde Alfonso Sánchez ha realizado muchos eventos en beneficio a la ciudad de Matamoros como fue el día del abuelito que se realizó en el mundo nuevo, en ese evento estuve presente como voluntariado ayudando a servir a los abuelitos. Estuvo muy padre porque se sintieron los abuelitos muy contentos y disfrutaron su festejo. Otra actividad que ha realizado es el torneo de pesca que se realizó en la playa Bagdad para que los amantes de la pesca se divirtieran un buen rato claro pasándola muy padre con su familia. Ese evento estuvo muy padre y mucho más para todos los pescadores que se relajaron un buen rato y aparte de todo eso se pudo convivir más tiempo, logrando la unión familiar. Otro evento que me encanto demasiado fue cuando decoraron la plaza en navidad, fue lo más bonito, las luces tan coloridas llamaban la atención de todos los niños y hasta de los adultos, toda la gente se quedaba fascinada de tantas cosas que había en las decoraciones y no eran decoraciones chiquitas eran a tamaño humano o hasta muchísimo más grandes. Comment: I would like to share with the World Mayor Organization one of the outstanding achievements Mayor Alfonso has recently done for the people. One of his greatest momentums during his administration is implementing a program called: Audiencia Publica (Public Audience) where every Thursday, he receives any citizen that wishes to speak to him in an open forum. This action has significantly raised his popularity because of the immediate response he gives to every petition. Comment: El Mayor Sanchez Garza es una persona muy confiable y transparente en el ejercicio de su trabajo y administración, no existe discriminación de ninguna indole, su administración se a basado en la cercanía con la gente y de puertas abiertas. -Atención a personas de escasos recursos. -Mejoramiento de los espacios recreativos de la ciudad para el esparcimiento de las familias. -Se esta modernizando y agilizando toda la administración pública con el proyecto de creación de la ventanilla única. -Los jóvenes tienen mayor impulso en el deporte. -La capacitación de los cuerpos policiacos del municipio para brindar una mejor protección a la ciudadanía. Comment: Quiero agradecer profundamente todo lo que ha hecho por la ciudadanía en esta ciudad H. Matamoros, Tmaualipas. pero en especial la dedicación y apoyo que ha brindado a la juventud a través de diversos eventos educativos, culturales y recreativos que han hecho a las nuevas generaciones emprendedoras. Comment: Es un alcalde muy cercano a la gente, que su calidez incluso lo llevo a crear un instituto donde las personas con problemas visuales reciben atención medica gratuita, a muchos abuelitos les ha dado una nueva oportunidad de valerse por si mismo con esta atención. Comment: There is a big fish in a small pond that you must hear about. This person is not headlined in international news nor is he typing his thoughts in Twitter. In reality, this man is making life better for thousands of people one day at a time. His name is captivating the hearts through his ongoing efforts to those he serves and lives he improves. He is Alfonso Sanchez Garza. A country that has five of the ten most dangerous cities in the world must by a tough place to be a mayor. Especially in a state where mayors, candidates for office, chief of police, and innocent civilians are notoriously murdered and violently manipulated. The adversity that my city has gone through has been tough, especially for its citizens. We underwent serious financial issued due to an unforeseen economic, political, social, and moral crisis this past decade. Those who dared rule continued impoverishing the land by placing their own financial interests ahead of the city's. This went on for several terms in office until one man stood up for the sake of change. The vision, determination, and audacity of Sanchez Garza has generated spectacular result that have injected hope amongst his people. • For the first time in Matamoros history, the government approved the most amazing project that is: to restore the most visited public places by converting them in eco friendly environment cleaning and treating our ponds water, building modern architecture innovative designed parks. Furthermore, this will provide shade in summer and wind protection in winter and enhance privacy all while increasing real estate values at the same time. • The honor of singlehandedly decreasing the murder rate and violence by 65% in a city is a task for the brave. Sanchez Garza has put a considerable amount of energy, inorder top ut an end to all the violence in this town. • Free Wireless Internet access subsidized by the the government in Social Program: Vive Matamoros: The 17 most visited public areas offer turistic information and free wireless internet access subsidized by the local government in order to grant the communities an opportunity to reunite themselves by encouraging them to interact with each other. • Every couple in the city is invited to get their papers together so that they can get married with a judge without any cost. This is another social program that has been going on throughout the city encouraging, new, old and every couple to get married. Furthermore, this administration is "thinking out of the box" to send positive vibes with great actions involving the families to believe in a different Matamoros!